Everyone who wants to go to college, including blacks and Latinos, will get into college – somewhere. But many more blacks and Latinos will be turned away from the best universities and left to “cascade down” to less selective four-year schools or two-year community colleges. Elite universities will become more white and Asian. In November, Arizona became the seventh state in the country to ban affirmative action in public higher education, following the lead of California, Florida, Michigan, Nebraska, Texas and Washington. 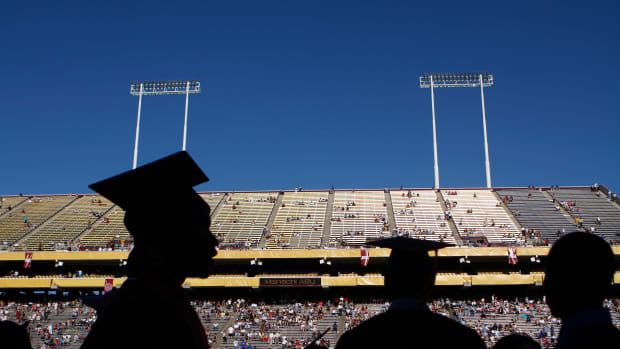 The Arizona Republic said affirmative action was “no longer needed.” Yet a large body of research shows how and why the “race-blind” admissions at flagship universities in states with bans dramatically fails to keep pace with changing demographics, even as the population of minority high school students overtakes that of whites. Take the case of California, as reported in Equal Opportunity in Higher Education, a new book on the state’s voter-approved ban on affirmative action known as Proposition 209. In 1994, four years before the measure went into effect, when colleges were giving a boost to applicants based on race, 38 percent of high school graduates and 18 percent of University of California students were African American, Latino or Native American. In 2008, after a decade with the ban, these minorities represented nearly half of high school graduates but only 20 percent of UC students. 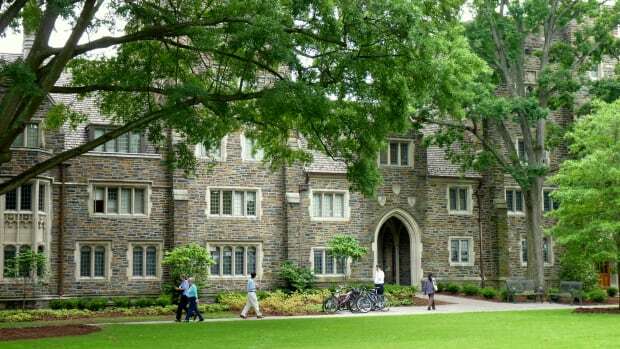 Two new studies from the Georgetown Public Policy Institute — the first to compare states with and without affirmative action bans and before and after they went into effect — suggest just how big the impact may be at the most selective schools. Taking a broad look at college enrollment and racial composition across the country between 1995 and 2003, economist Peter Hinrichs found that affirmative action bans have no effect on the typical four-year college or the typical student. But at public universities in the top 50 of the U.S. News & World Report rankings, he found, the numbers of blacks and Latinos typically drop 30 percent and 27 percent, respectively, after affirmative action bans are imposed, compared to pre-ban enrollments, while the numbers of whites and Asian Americans increase 5 percent to 6 percent. Over a broader range — the top 115 public and private colleges in the U.S. News rankings — the numbers of black and Latino students drop 17 percent and 16 percent, respectively, at schools with affirmative action bans, Hinrichs found. Separately, Hinrichs showed that the numbers of black and Latino graduates from the top universities also decline at selective schools with affirmative action bans, a direct consequence of declining minority enrollment. The opponents of affirmative action have argued that many students of color are better off at less selective schools because, coming from poor backgrounds and mediocre high schools, they may be less well prepared for the academic rigors of college than their more affluent white peers. But researchers have found little evidence that blacks and Latinos do worse at the most selective schools and some evidence that they perform better than the whites they replace. A 2010 study co-authored by Marta Tienda, a Princeton University sociologist, showed that black and Latino students who were admitted to the University of Texas at Austin on the basis of their high school rankings consistently got as good or better grades in college than the affluent whites with higher SAT scores whom they replaced. The minority students also were equally or more likely to graduate in four years. The Texas experiment suggests that universities seeking to diversify their campuses will be better served if they emphasize high school grades over standardized tests, Tienda said. The less selective public universities in Texas have benefited from the “cascading down” of lower-ranked white and minority students — those in the top 20 or 30 percent of their high school classes. In a study of seven public colleges in Texas, Tienda and Mark Long, a co-author and the associate professor of public affairs at the University of Washington, showed how these students have improved the average SAT scores of students at less selective schools. Before affirmative action was banned, many of them had been accepted into the flagship schools. But the students themselves may not have benefited from being reshuffled. New research shows that the freshmen retention rates and six-year graduation rates of lower-ranked minority students have declined by 2 to 5 percent in Texas’ less selective colleges. To address the widening gap between whites and minorities in higher education, California and Texas implemented policies to boost enrollments for high school students in the top 4 percent and 10 percent of their graduating classes, respectively. But these policies have been arguably as controversial as the systems they replaced. They have not nearly recovered the diversity that was lost after the affirmative action bans went into effect. In reality, the plan has catapulted students from high schools in rural areas and small towns into the flagship universities, dramatically broadening geographic representation at UT Austin and Texas A&M University, as Long and Tienda showed in a study of 1,800 high schools in the state. But when it comes to diversity, the ban on affirmative action in Texas has had a chilling effect. Comparing application rates before and after the Top Ten Percent plan, Tienda and Angel Harris, another Princeton sociologist, estimate that the state’s flagships are losing nearly 7,000 potential black and Latino applicants annually. According to Long, racial diversity would not hypothetically rebound by more than 25 percent anywhere in the country under a Texas-style Top Ten Percent plan. There are simply not enough blacks or Latinos at the top of their high school rankings in any state in America to substantially improve their share in most selective colleges under that scenario. There are unintended consequences, too. One study shows that some college-educated parents in Texas are moving their families to areas with low-performing high schools so that their teens can be in the top 10 percent of their class. Along these lines, another study co-authored by Long and published this month by the National Bureau of Economic Research reports that a number of students between eighth and 10th grades, including minorities, are “trading down” to previously undesirable high schools to improve their class rankings. The net effect of these strategic transfers is to push out other minority students in the top 10 percent of the chosen high schools and slightly increase the representation of whites, the researchers found. Many studies show that racial and ethnic diversity in the classroom fosters democratic values and helps promote critical thinking because all students are exposed to new perspectives and experiences. In Equal Opportunity, Susan Wilbur, the director of UC admissions, describes how many of the top Latino applicants to UC schools and especially the top black applicants are choosing instead to attend top-tier private colleges because of California’s affirmative action ban. More than half of the top black applicants and 30 percent of the top Latino applicants admitted to a UC campus in 2005 opted to attend a selective private college instead, Wilbur said, compared to 15 percent of Asians and 19 percent of whites. “While this behavior is not entirely unexpected, it nevertheless represents a significant loss of talent to the University of California, and it can be argued that students who do choose to attend UC are poorer for the loss of these talented youth,” she wrote. According to Hinrichs, there was a slight rebound in diversity at the UC campuses a few years after the ban went into effect — the likely result, he said, of outreach policies, scholarships and the decision to boost enrollment for the top 4 percent of high school graduates. But the share of black and Latino students remains well below pre-ban levels, especially in the top schools. Beginning in 2012, the top 9 percent of high school graduates in California will get a boost in applying to UC schools, or more than double the current 4 percent. Equal Opportunity offers a number of other ways to improve diversity in higher education, starting with revamping the under-funded, overcrowded and poorly staffed high schools where black and Latino students make up the majority. In addition, SAT scores could be made optional for college admission as a way of leveling the playing field, and they could be replaced by high school grades, the authors said. In place of the SAT, students could take a state test geared to state standards for each subject. More students could be encouraged to transfer from community colleges to UC schools. Or the state could emphasize native languages or neighborhood demographics in college admissions. The U.S. Supreme Court has ruled out affirmative action if it is mechanically applied with quotas, but the court has said that “a narrowly tailored consideration of race in admissions decisions” is legal.